From 10th to 17th September, during the Venice Glass Week, the exhibition Glass Matters | Innovation Through Technology will take place at the Chamber of Commerce of Venice. The Exhibit is the result of the workshop held by DEL_FabLab, the Ca’Foscari’s digital fabrication lab, in partnership with the Ca’ Foscari Department of management and Consorzio Promovetro Murano. From 10th May to 30th July 2017, a workshop on advanced glass manufacturing was organized. During this workshop, glass masters, the DEL_FabLab and designers with strong background in 3D modelling and digital fabrication, collaborated to create innovative glass objects with the aim to create a link between tradition and innovation with respect of the history of the Murano glass making. This project has been sustained by Consorzio Promovetro as its aim is to create an innovative research path within the island, contributing to the development of new glass processing techniques or the creation of new glass manipulation tools. The exhibition’s opening will take place on the 11th September on the occasion of the conference Vetro Murano: dialoghi per un futuro imprenditoriale tra cultura, tradizione e innovazione which will take place on the first floor of the Chamber of Commerce in Venice. During the conference the participating groups and the final results of the workshop will be presented, as well as the catalogue of the exhibition, which will be available for purchase. Berengo Studio (designer External Reference), Costantini Glass Beads (Designer Kanz Architetti), De Biasi (designer Marco Zito), Ercole Moretti (designer Omri Revesz Design), Nicola Moretti (designer Emilio Antinori), Vetrate Artistiche Murano (designer Lago + Silverio). 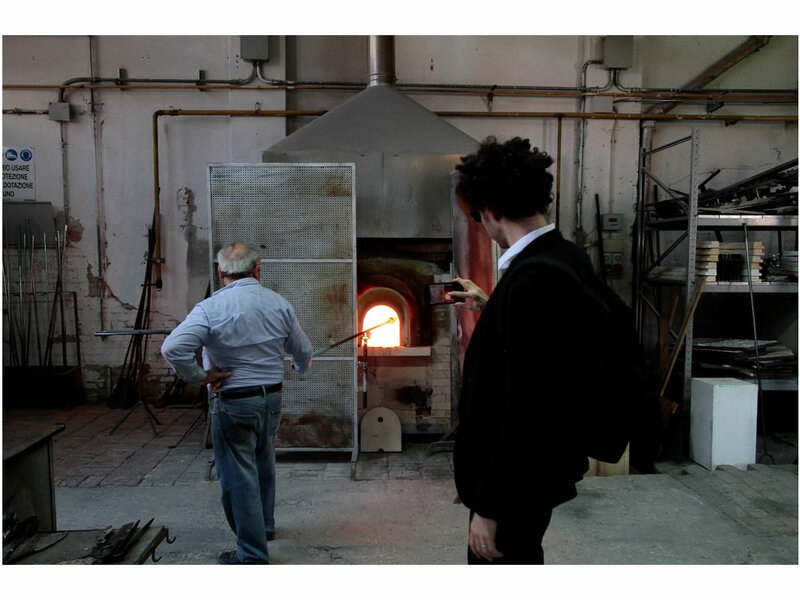 The Venice Glass Week 2019, the application process is now open!